At Four Seasons we consider life and work to be richer when we truly connect with the people and the environment around us. Our family members are masters at their crafts - a gardener can become an artist, a manager a conductor, a chef an inventor. We look for employees who share the Golden Rule: people who, by nature, believe in treating others as we would have them treat us. We look for our people to characterize a shared passion for excellence and to infuse that enthusiasm into everything they do. We are excited to share that a new Four Seasons Hotel and Private Residences in Bangkok is expected to open soon. Located along the Chao Phraya River, one of the world- s most famous urban waterways, Four Seasons Hotel and Private Residences Bangkok at Chao Phraya River is part of a dynamic new riverside development that includes 299 guest rooms and suites, vibrant restaurants and bars, as well as a 73-storey tower with 366 private residences. Spanning 9 acres with lush courtyards, exceptional river views, and complemented with convenient connections to all that the city of Bangkok has to offer, Four Seasons Hotel Bangkok Chao Phraya will offer an atmospheric urban resort experience for both international and regional travellers. Founded in 1960, Four Seasons continues to define the future of luxury hospitality with extraordinary imagination, unwavering commitment to the highest standards of quality, and the most genuine and customized service. Currently operating 109 hotels and private residences in major city centers and resort destination in 43 countries, and with more than 60 projects in development, Four Seasons consistently ranks among the world- s best hotels and most prestigious brands in reader polls, traveler reviews and industry awards. As the leader in branded residences since 1982, Four Seasons currently operate 38 residential properties around the world and 80% of the projects in our pipeline contain a residential component. 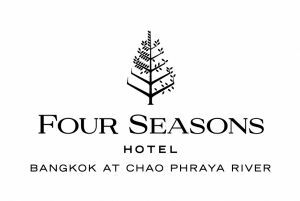 The Four Seasons Private Residences Bangkok at Chao Phraya is looking for a Security Officer. This person must have a commitment and passion and will provide a first class service to the Four Seasons Standards, ensuring that the guests- needs are met and will do this in a pleasant manner as an ambassador for the Four Seasons product. The Security Officer is a vital member of the Security Team who is responsible for providing a safe and secure environment for the employees and in which guests can relax and/or conduct business. This department establishes, promotes and maintains the hotel- s security and property protection. The Security Team is available 24-hours a day. The Security Officer actively participates in the day-to-day security operations of the property to ensure the safety and security of all guests, personnel and property. We are looking for individuals who are skilled problem solvers with a high attention to detail and a high sense of ethics and honesty The Security Officer position involves a large amount of contact with guests, local law enforcement and other hotel personal and excellent personal presentation and interpersonal skills are required. Candidates must have a firm knowledge of Security operations, and must have a minimum of 2- 3 years of experience in a similar role in an international hotel or resort. Candidates must speak read and write Thai as well as being fluent in English. Must have the right to work in Thailand.